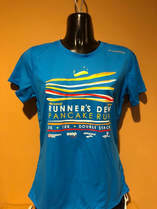 As we prepare for our 41st annual Runner's Den Pancake Run , we hope you will join us to enjoy the rich history and competition at one of the oldest and most popular events on the Valley running calendar. 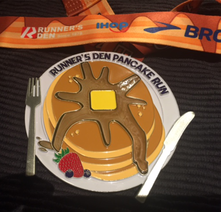 And of course, IHOP has joined us again to serve-up their fantastic post-race pancake breakfast. Our goal each year is to stage the finest event possible; merging a competitive athletic event with a family-fun atmosphere. With five different activities, we hope we've included something enjoyable for everyone. We are happy to announce that Bill Rodgers, four time Boston and New York Marathon winner will again be returning to the RDPR to participate in our 41st edition. One of the greatest runners of our time, Bill headlined our inaugural event back in 1979 in addition to participating fifteen other times. We are thrilled that he will be joining us again. Remember, the event is limited to the first 2,000 entrants. Last year the field filled faster than ever so enter early. IT'S RACE DAY: HERE ARE THE "Where's, When's & What's"